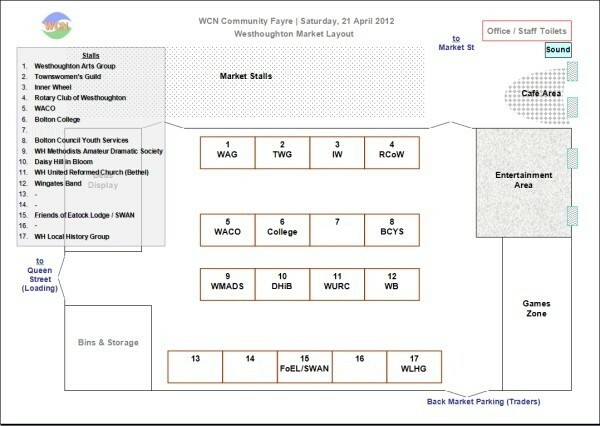 Less than a year from its inauguration, on Saturday, 21st April the Westhoughton Community Network held its first public event - the WCN Community Fayre in the back hall of Westhoughton Market. The event was a chance for local community groups and organisations to promote themselves and engage with the public; showing a diverse and encouraging representation of community life in the town. Those that took part: Westhoughton Arts Group; Westhoughton Townswomen's Guild; Inner Wheel (Rotary Club Ladies); Rotary Club of Westhoughton; WACO (Westhoughton Active Communities Organisation); Bolton College (Westhoughton Centre); Bolton Council Youth Services; Westhoughton Methodists Amateur Dramatic Society; Daisy Hill In Bloom; Westhoughton Visiting Service; Westhoughton United Reformed Church including The Bethel Crowd; Wingates Band; Friends of Eatock Lodge; SWAN (Save Westhoughton Act Now); Westhoughton Local History Group; with entertainment provided by HACFRA's (Hindleys and Clough Farm Residents Association) very own Urban and Street Dance Troupe XDC. The groups taking part excelled themselves and put on great displays making the fayre a colourful and informative event. Helped by the Westhoughton Local History Group's Luddites Bi-Centenary weekend activities which included the opening of the must-see two-week exhibition in Westhoughton Library and the support of The Advertiser, the event got a decent amount of footfall as visitors came by and spent some time in the market and at the community fayre. 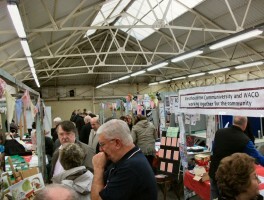 As part of Westhoughton Community Network's efforts to raise the profile and support our groups, and engage with the wider community, we are holding a special event on the Luddites Bi-Centenary weekend with a number of our groups having stalls and putting on activities taking over the rear hall at the revamped and award-winning Westhoughton market. 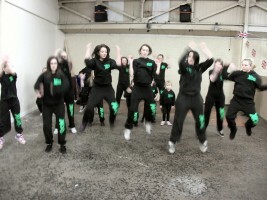 Groups will have stalls and will be giving out information about what they do, and how you can help and get involved. Made up of volunteers, these groups do important work and are the glue to our community. 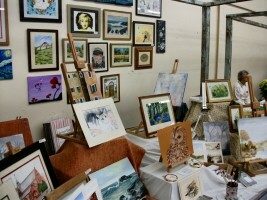 There will be activities and demonstrations, competitions, entertainment from local talent . It's a great chance to meet these groups and show your support. WACO (Westhoughton Active Communities Organisation) - promoting the Communiversity, WACO-based groups and It's A Knockout Funday! Westhoughton Methodists ADS - promoting theatre group and next show! Come along and support these community groups and enjoy a fun-packed and interesting weekend in Westhoughton. 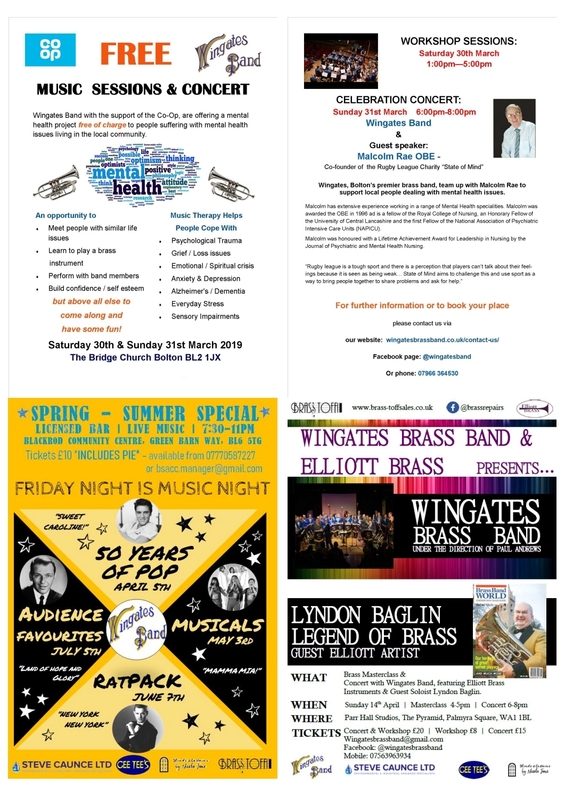 On Saturday The Westhoughton Local History Group have displays and information in the library and market, with the main events - enactments, burning of the mill and entertainment from The Houghton Weavers and Wingates Band on the Sunday from 6:30pm on the Mill Street car park. Silcock's Funfair are also in town at the White Lion Car Park (Bolton Road) Friday, Saturday and Sunday.